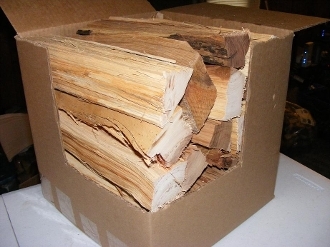 These Backyard Cooking Logs are 12" inches long and split to just the right size. The logs work spectacular in large smoker/grill combos, along with similar grills. Packaged in a 12"x12"x12" box. Total Weight will be close to 30lbs "Fruit Woods May Be Slightly Less"
All our wood products are heat treated to prevent mold bringing you a worry free product. Copyright © 2018-2019 Vaughn Wood Products. All rights reserved.